Police said Sunday the slain gunman suspected in Copenhagen attacks that left two dead was a 22-year-old with a history of violence, record for weapons offenses and links to a criminal gang. The Danish-born suspect, whose name authorities did not release, was killed early Sunday in a firefight with a SWAT team. The gunman opened fire at a free speech seminar featuring an artist who had caricatured the Muslim prophet and later shot at security officials outside a shul, according to police. 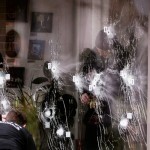 A Danish filmmaker and a security guard were killed during the attacks while five police officers were injured. Authorities believe the gunman could have been inspired by the Islamic militant attacks in Paris that left 17 people dead, according to Jens Madsen, head of the Danish intelligence agency PET. Read more. 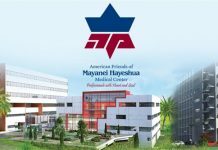 Israel’s Health Ministry: Mayanei Hayeshua voted #1 in Patient Satisfaction for the 5th Consecutive Year!